GenTech is your comprehensive source for High Quality - Low Cost cannabis and hemp testing instruments, training and support. Cannabis policies and testing regulations vary by state. Those required tests will determine which instruments a laboratory needs. See State Rules & Regulations. GenTech has configured systems specifically to perform the tests most cannabis laboratories need to run. Click on the applicable testing application to request a quote. 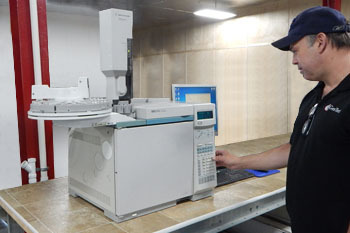 Gas Chromatographs are used for many of the Cannabis testing applications. If you are testing for Residual Solvents, Cannabinoid Characterization and THC potency we have the products you need. Along with a GC an HPLC can assist in quantifing the potency of a Cannabis sample. It's possible to accurately determine the levels of the components such as THC, THCA, CBD, CDBA and CBN. When testing for residual solvents such as pesticides, water, butane, carbon dioxide, ethanol and other solvents used in cannabis manufacturing an MS will assist in determing their levels.